Slow weekend off of Lorain. Hi guys. l perch fished off of Lorain on Saturday and caught 26. The water was dirty and the gobies were real quick at taking my bait. 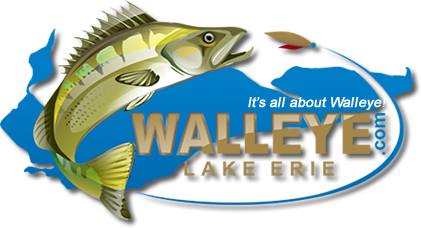 No small walleye this time which was surprising because l've caught little walleye every perch trip this year. l fished at North 41*28.30 and West 82*12.72 Pretty slow day. Sunday a friend wanted to troll for walleye since his son has never caught one before. So we trolled from just west of Beaver Park Marina to Elyria Water works in 22-26 feet of water. Pulled a 25 incher on a Reef Runner Fire Tiger 100 feet back. His son loved it!! But that was it for two hours. The water was still dirty and we didn't mark a whole lot either. So we perch fished in front of the fog horn and ended up with 15 decent perch. l did catch a 9 inch walleye though. The future looks bright with all the little walleye around. Take Care and good luck. Might troll again Friday after work. l don't know.